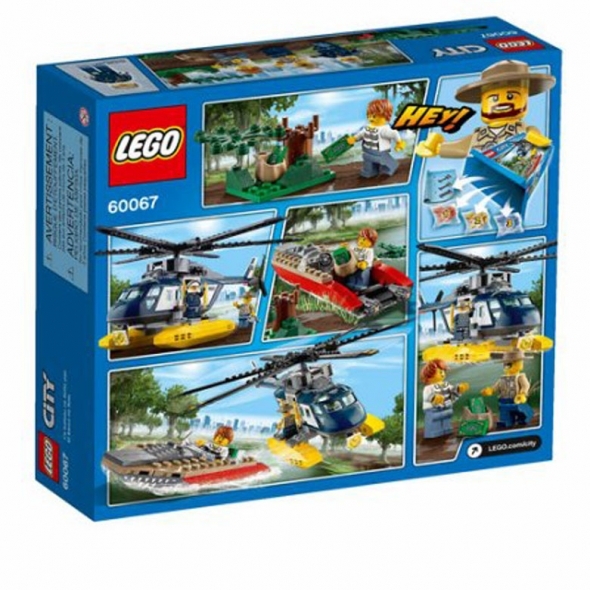 Provide a LEGO fan with hours of fun and imaginative play with this super-cool LEGO City Police Helicopter Pursuit Set. It comes with 253 pieces that include a blue and white police helicopter, a red and gray speed boat and a chomping green alligator. The helicopter can be used with or without the boat for added fun. In addition, this LEGO toy comes with three mini-figures that include a pilot, a police officer and a crook and assorted swamp-inspired accessories. For an even more action-packed play experience, combine this model with additional LEGO play sets, which are sold separately. This LEGO Pursuit set is recommended for kids age 5 years old and older. It will make an ideal addition to any LEGO lover's collection.